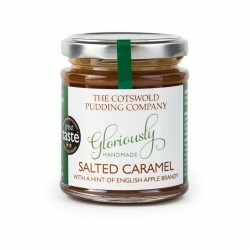 Karen and her partner Jonathan started The Cotswold Pudding Company back in 2007. Karen enjoys cooking all sorts of things, but baking anything sweet is her great love as she finds it very relaxing and satisfying. 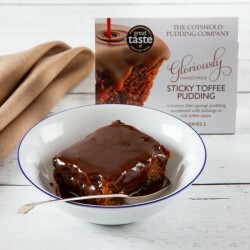 They first began selling their puddings at Stroud Farmer’s market and have grown from there, but are proud to still be a small concern with Karen doing the baking and Jon the packing and deliveries. 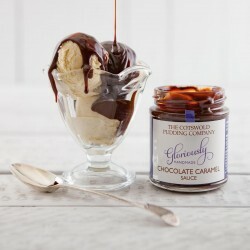 Using just a handful of ingredients, locally sourced from suppliers in the West Country, all their puddings and sauces are gloriously handmade using simple, traditional methods from their dedicated kitchen in the lovely Cotswold village of Poulton in Gloucestershire. 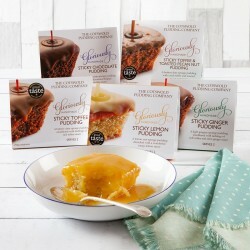 Their Gluten Free Sticky Lemon Pudding won the prestigious 'Best Food Product' at the 2017 Cotswold Life Food & Drink Awards, and a number of their puddings and sauces have won Great Taste Awards, with their Salted Caramel with English Apple Brandy gaining a 2 star award.